The fourth mode of operation: cimulyatsiya work in the virtual system, based on its image. Unique set of filters and a built-in analyzer for the rapid detection of unknown piece of code claimed. 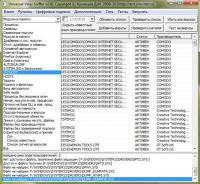 Detection of latent infection MBR, Boot sector and downloaders Windows.